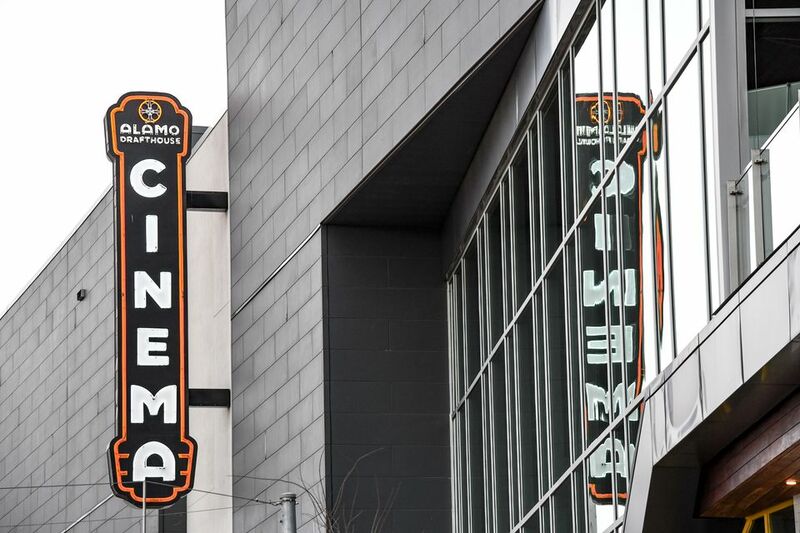 For anyone who loves movies but is a little bored by the traditional movie-viewing experience, Alamo Drafthouse offers several ways to make flicks more fun, interactive and occasionally even educational. Master Pancake Theater adds live performance into the mix. The comedy troupe lampoons the movie as it’s playing. They sing, dance, act out scenes, and mock aspects of the movies such as the extremely slow panning shot during Breakfast Club (a performer tried to hold his breath in a bucket of water during the entire two-minute shot). Think you know a movie by heart? Show up for one of the many quote-along events to test your skills against other cinema nerds. Sometimes, they also serve meals to match the theme of the movie. How about a little spaghetti and meatballs to go with Goodfellas? Actually, I wouldn’t eat during that movie. The food is about the only thing that gets mixed reviews, but there are so many sources of amusement here, can we really expect gourmet food too? The downtown location attracts more big-name celebrities than most of the others. Director Quentin Tarantino used to do a regular show here and still stops by during special events. Housed in the historic Ritz theater, the downtown Alamo includes limited balcony seating. Consider purchasing the Balcony Package for a special night out. In addition to sitting in cushy leather recliners, you’ll get a great view, free parking, and you don’t even have to wait in line. If you haven’t been to an Alamo or Alamo-style theater before, the major difference is that you can order food and drinks from your chair. Ideally, it’s best to arrive early and order food well before the movie begins. There’s a narrow mini-table in front of all the chairs. If you need anything during the movie, you write on the supplied slips of paper and clip them flag-style to the table. A waitperson will unobtrusively grab your order and return with food and drinks. With careful timing, you can have your fill, get the bill and be ready to leave by the end of the movie. The folks who run Alamo Drafthouse are very serious about their no-talking and no-texting policy, and they’re not afraid to embarrass people who violate it. In 2011, a customer was kicked out for texting during a movie, and she subsequently left a hilarious profanity-laced voicemail, which was turned into a viral video that has been viewed 3.5 million times. They’re just as serious about their No Late Entries policy. Plan ahead for the time it will take to find parking downtown. Do you have a movie buff friend who is hard to buy gifts for? Alamo Drafthouse gift cards are an ideal solution. You can buy either physical cards or electronic cards, and they never expire. They can be redeemed for drinks, food or movie tickets at any Alamo theater. Plus, the cards can even be used at certain nearby bars, such as the The Highball, The Glass Half Fulland 400 Rabbits.